kathleen dames: Where does the time go? Glad that Isobel is starting to knit young! Good Girl. Have you seen "Anne" the Schaffer sock (shawl) yarn. So beautiful. We have some in the shop and it is "flying" out the door. 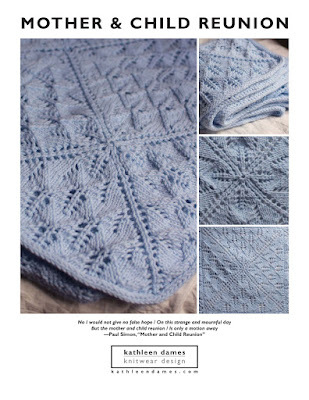 J-Knits and Seacoast will be visiting us soon. Rowan on Saturday! Any Rowan suggestions? Yes, I know, Silk Kid Haze, what else?